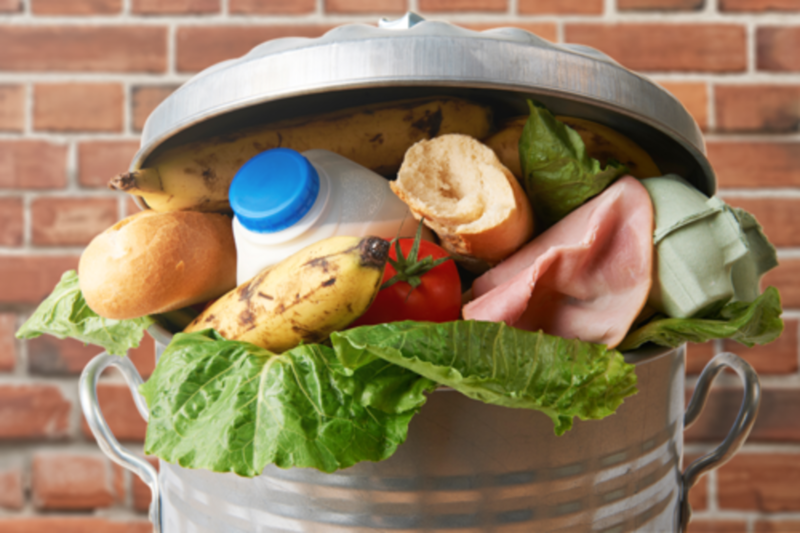 The stats around food waste and hunger in the US are alarming: We throw out or fail to use 40% of our food supply every year while nearly 49M people are food insecure. The disconnect between what we produce, what gets to the consumers who need it, and the policies in place that prevent efficiencies, emphasize the need for innovation and change. This panel tackles the pervasive issue head on, exploring how diverse organizations across the supply chain are working together using high and low technology solutions to reduce waste, divert food from landfills, and route reclaimed food to those who need it most. Ashley Zanolli co-leads the West Coast Climate & Materials Management Forum, a partnership of western communities working together to drive climate action through materials management. With the help of more than 25 EPA, state, and local government partners over the past three years, Ashley led development of Food: Too Good to Waste, a community food waste prevention toolkit. She also implements EPA's Sustainable Food Management Program with commercial businesses in Alaska, Idaho, Oregon and Washington, and grocers throughout the U.S. through her current role as a national strategic advisor to the Food Waste Reduction Alliance (FWRA), which includes 26 of the largest brand manufacturers, grocers, and restaurants in the U.S.
Ashley is considered a national expert and “thought leader” on consumer food waste prevention. In 2015, Ashley’s work was featured in Grist, National Public Radio, The Washington Post, The Atlantic, BioCycle Magazine, and the Huffington Post. Ashley has received the 2014 National James C. Craig Pollution Prevention Award, one EPA silver medal and three EPA bronze medals. She received King County’s 2015 Green Globe Award for her leadership in confronting climate change. Beyond her work with EPA, Ashley volunteers her time building a new tool library in Capitol Hill, starting a fixer collective to help bring back repair and maintenance skills while building community, and mentoring middle school age girls on S.T.E.M. education and careers. Ashley currently serves on the Sustainable Capitol Hill Board of Directors, the Pacific Northwest Social Marketing Association Board of Directors to help build capacity for behavior change programs. Ashley has worked at the U.S. Environmental Protection Agency's Seattle office on air toxics, biofuels, environmental justice, and climate programs since 2006. She holds a B.S. in Chemical Engineering and a graduate certificate in Decision Making for Climate Change. Liz started with Feeding America in 2008 on their Manufacturing Product Sourcing team. As a National Account Manager, Liz is responsible for managing and advancing partnerships with product donors across the United States. Her experience has proven successful in driving best practices at all levels of the organization and working collaboratively to develop emerging solutions. Over the last year, while managing a strong portfolio of food donors, Liz strengthened relationships with Feeding America's non-food relationships, building awareness around Feeding America's capacity and distribution capabilities. Liz is involved with the Food Waste Recovery Alliance, where she works with the food and grocery industry to recognize usable product with in their supply chain, typically thought of as waste streams, and identifies solutions to convert the product into a safe, distributable form. Marie is a member of a large multigenerational dairy farm family, who own and operate Blue Spruce Farm and Audet's Cow Power located in Vermont's Champlain Valley. They milk 1350 cows and crop 3,000 acres to feed them. Their milk supplies the nearby Cabot Cheese plant where they proudly boast award winning cheddar cheese. In 2005 the dairy started generating electricity from cow manure, currently producing 2.4 million kWh of renewable electricity per year. Marie received the 2012 award for Outstanding Dairy Farm Sustainability from the Innovation Center for U.S. Dairy. Most recently, the dairy added a Wind Turbine in collaboration with Green Mountain Power as part of their renewable portfolio producing 176,000 kWh per year, a 132 ton annual carbon offset. As Director of Sustainability for The Kroger Co. Suzanne is responsible for setting and leading the corporate strategy for sustainability. She identifies and champions sustainability efforts through collaborative efforts that reduce costs and environmental impact. She is also responsible for key communications both internally and externally with diverse stakeholders regarding sustainability issues. She maintains relationships with NGO's , socially responsible investors, key suppliers and various industry groups to move our industry forward. Before joining Kroger, Suzanne created and led sustainability initiatives at PetSmart, Inc., America's largest pet specialty retailer. She also led the sustainability council, where she worked with associates to build engagement on the company's sustainability goals. In addition, Suzanne has worked extensively in land development and civil engineering.